Welcome to Private Dining at The Peacock Inn! 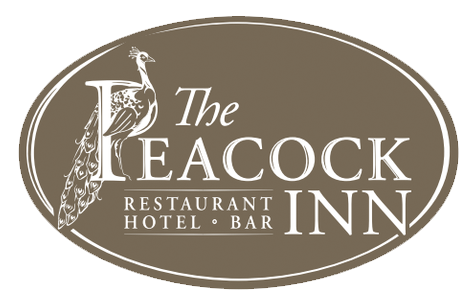 Whether you envision a sophisticated sit-down dinner, a festive cocktail reception or a corporate business luncheon, The Peacock Inn is the perfect venue for all your event needs. Memorable events begin with an unforgettable setting! The intimate semi-private and private dining rooms blend elegance, comfort, and romance. The walls showcase prized artwork, murals, and menus from the 1930’s, some of which were discovered behind cement walls in the basement of this historic building! We can create custom menus geared to your ideal budget and dietary needs. Our restaurant offers a quiet ambiance with soothing lighting and soft décor to allow for the most intimate of settings! Whether coming for business or pleasure, lunch or dinner, we look forward to hosting your special event!